Although I left Westminster last year, I still can’t resist exploring Parliamentary sites when I’m on holiday. 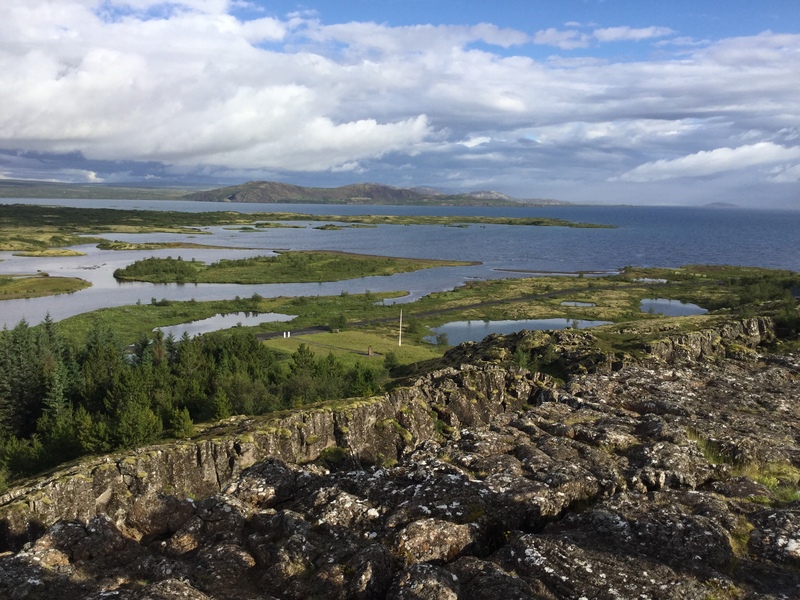 This summer I’m in Iceland for a few days and that brings me to the great-grandmother of all legislative locations: Thingvellir. 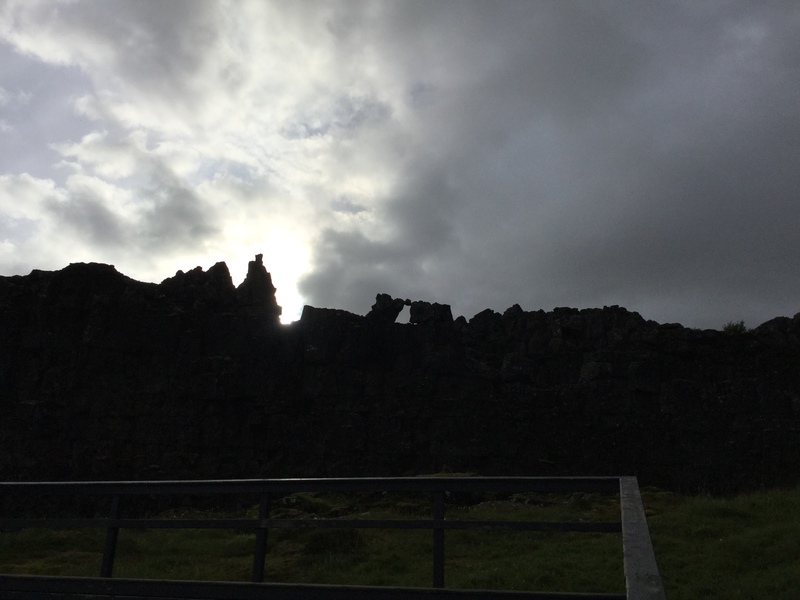 The ancient Icelandic Parliament, the Althingi, arose here in 930CE and met every summer until the thirteenth century; it continued as a court of law until 1798. That makes it the oldest Parliament in the world, and many of Iceland’s most momentous political events took place here, including the adoption of Christianity in 1000, and the declaration of Icelandic independence in 1944. 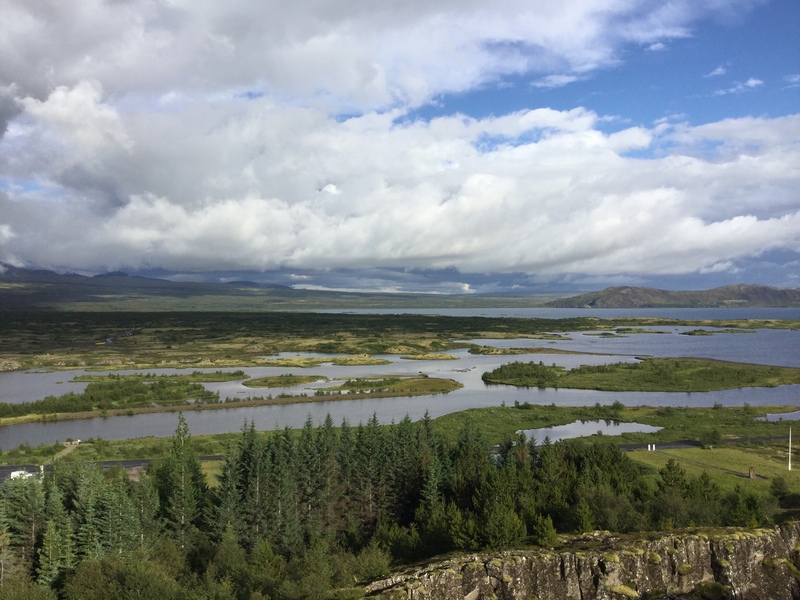 In 2004, Thingvellir became a World Heritage Site. The site was no doubt chosen as a gathering place because of its unforgettable appearance, in a country of amazing geological formations. 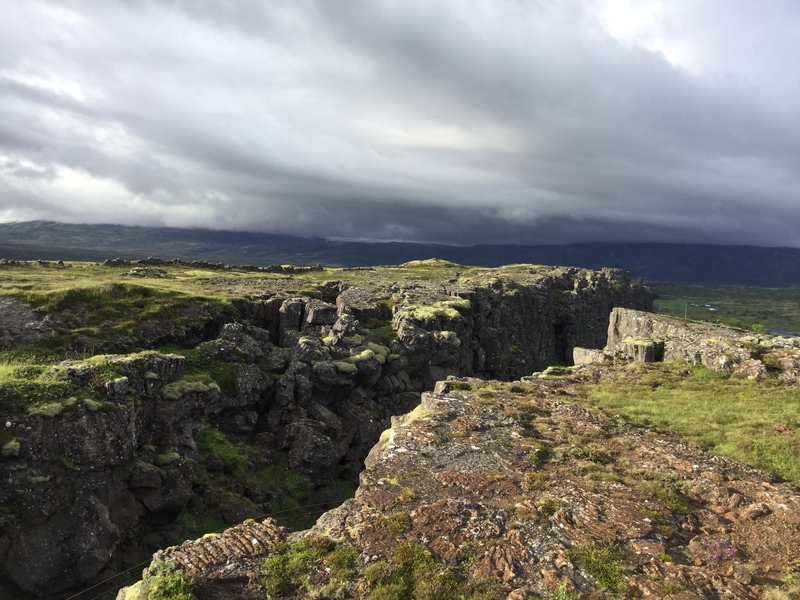 It would have been easy to describe to anyone who was planning to attend because it most obviously (as analysed in modern times) marks the spot on the mid-Atlantic Ridge where the North American tectonic plate is diverging from the European one. 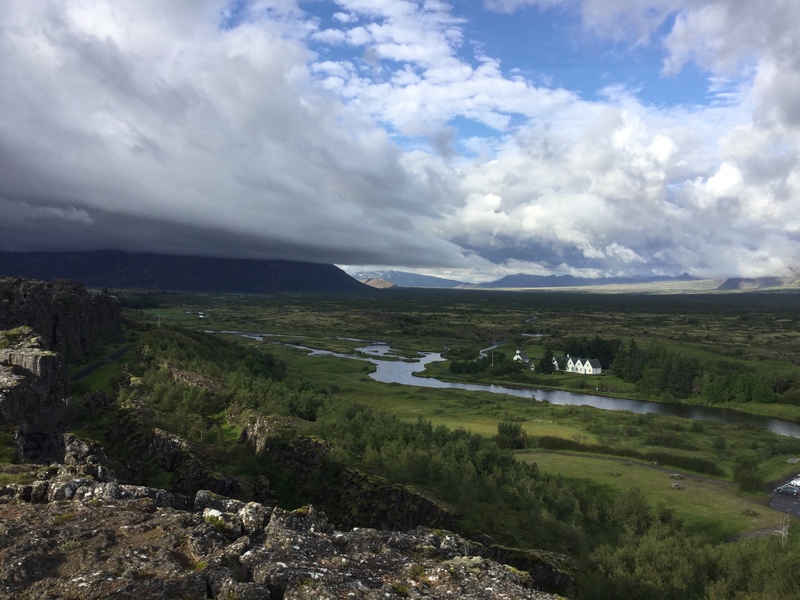 That is what makes Iceland a country of active volcanoes, hot springs, sulphurous gases, and explosive geysers. The several miles of rift between the two plates are a no-man’s land, belonging to neither continent, now filled with shallow lakes and marshland between the rocks. No trace of any Parliament building survives from those early times but there is archaeological evidence of rock booths or shacks where attendees at Parliament would have lodged during their weeks of summer attendance. There is also the natural amphitheatre created by the rock fissures, and a memory of the mysterious ‘law rock’ or the Lögberg. Nobody can say for certain where this was, but it was the stone upon which existing laws were recited at each annual session and where new laws were enacted. Here is a very evident reminder that landscape and history are inextricably linked, and of the huge symbolism incorporated from their surroundings by many Parliamentary sites.